This is is a VERY common struggle for parents- you are not alone! 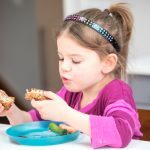 Most children will be picky eaters at one time or another- it’s inevitable and normal. 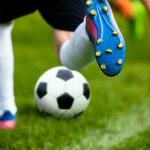 I understand that this may not ease the frustration and worry that parents go through though. Toddlers are desperate for a sense of control. Food is one thing that they can control, to some extent. 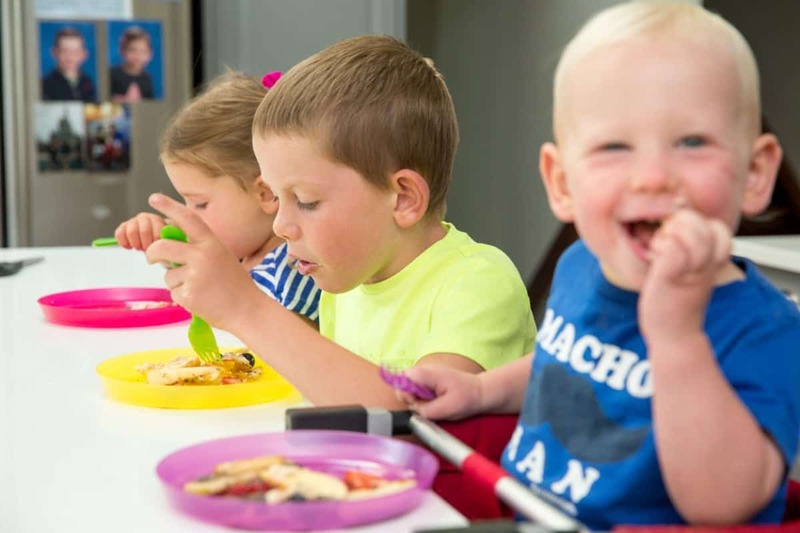 As parents, it’s important that we provide a safe, non-pressured, but structured environment for our toddlers and kids at meal and snack times. 1. 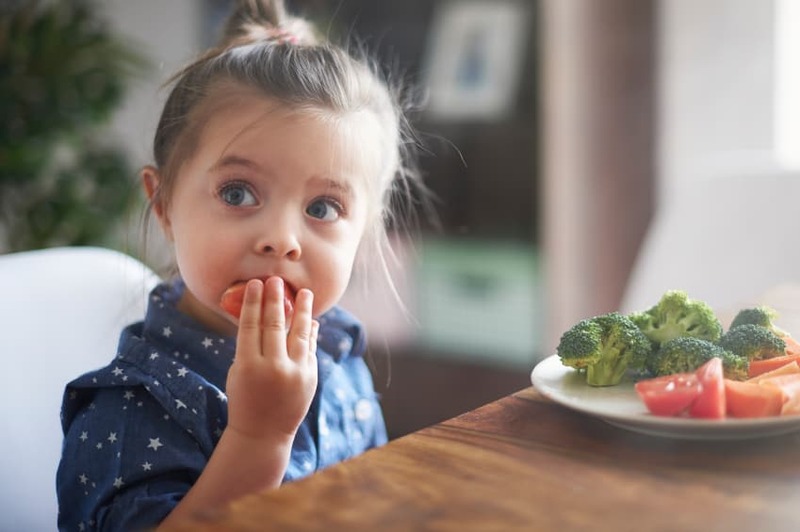 Limited food acceptability: If you are always serving your child foods that you know she readily accepts, she won’t really have a chance to warm up to other foods that she might not accept right now. It takes up to 15-20 tries for a toddler to accept a food. As frustrating as it is, continue to offer foods that you child hasn’t accepted yet. Offer foods in different forms, temperatures and shapes. Offer new foods one at a time and with foods that ARE accepted. This will make it a little bit safer for her. 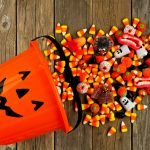 Your child will have a much easier time when she is offered different foods outside of the home this way too. 2. Food preparation becomes too time consuming and complicated: Instead of preparing one meal for your family, you end up preparing 3-4 different meals. Only offer one meal for the family with 3-4 different foods to pick and choose from. If you’re anything like me, you’re a busy Mom and don’t have hours on end to cook. 3. 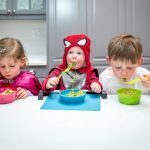 The “line” becomes blurred: If you’re constantly catering to your toddler’s or child’s food preferences and acceptability, she may (no, she WILL) take advantage of this. She may decide after you’ve made a special meal for her that she, in fact, wants something else. Where do you draw the line? How many meals will you prepare before you go crazy? 4. 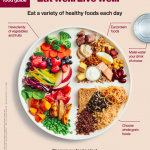 Less nutritious options: Alternate meals tend to be less nutritious. They tend to be quick and easy and lack in the nutrition department. Convenience/frozen foods, ready-made breakfast cereal, toddler crackers/cookies, and other starchy white foods tend to be the go-to’s. 5. 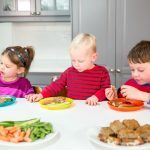 It puts added pressure on everyone: Being a short-order cook for your children puts pressure on you to “get it right” and serve what each child wants (and how they want it) and it puts added pressure on your child to eat exactly what they’ve been served (and all of it) after you’ve specially-made a meal for him or her. As tempting as it is to serve your toddler or child what you know he or she will eat, avoid short order cooking. It’s not good for anyone involved. Offer 3 meals at set times and snacks in between. Offer 3-4 different foods from different foods groups at each meal and 2-3 different foods at snacks. Everyone in the family should be offered the same choices. By doing this, you are setting parameters and providing much needed structure, but also giving them control. 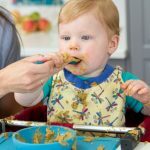 Your responsibility as a parent is to provide the When’s, What’s and Where’s of eating and it’s up to your toddler or child to decide whether and how much they will eat. 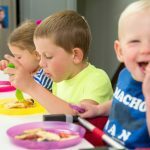 Eat with your toddler or child, don’t just feed them. 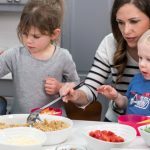 Modelling healthy eating is SO important for many reasons and your child will greatly benefit from family meals. 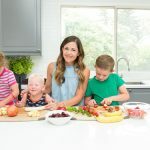 If you’re offering a variety of foods every day and if your toddler or child is eating foods from each food group (even if it’s not as varied and abundant as you’d like), she is likely getting what she needs. The best way to know if she is getting enough is by her growth. If she’s steadily growing along her growth curve (you can ask her family doctor about this), all is good. If you’re worried about her growth, talk to your family doctor or Dietitian. 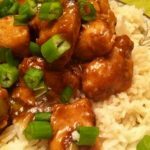 For easy, family-friendly recipes, check out my recipe page! Did you know that we provide one on one nutrition counselling services for families? If this is something you’d like to learn more about, check out our The Centre For Family Nutrition page. This was a great post, thanks for the advice! Some days my 1 year old is picky, other days he’ll eat anything we put in front of him. I always strive to have a vegetable with his meals, and I’m trying very hard to not give him the same things just because he’ll eat them and it means we’ll have a peaceful mealtime. I love the idea of introducing new options with familiar foods, I’m definitely going to try it! I’ve been trying to make family meals that he’ll eat but sometimes it’s difficult because what hubby and I are eating isn’t finger food/seasoning appropriate for him.